All of the cables are constructed with bulletproof Kevlar fiber and reinforced stress points with a 10000+ bend lifespan. Anker cables all come with an 18 month warranty which is an impressive warranty for cables. I have no hesitation in recommending Anker products. I have a multitude of their products at home and they all perform well. They are well designed and constructed and are up to the task for sure. The deal over at Amazon is while supplies last and there is no limit to the number you purchase. 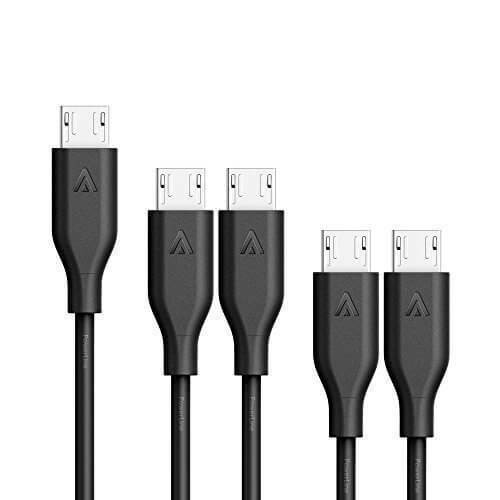 If, by chance you need a 6-pack which includes a third 3′ cable, you can get that pack for $12.59 on Amazon.